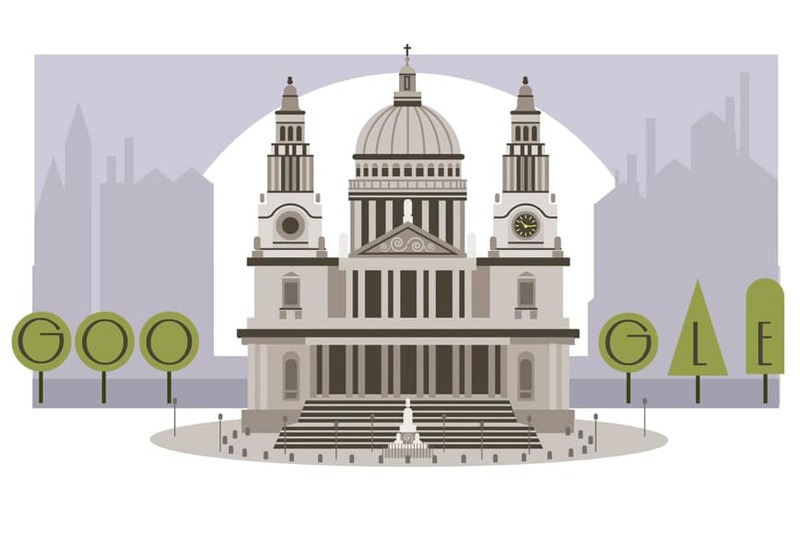 The animated video doodle shows the Great Fire of London destroying St Paul’s Cathedral, only for it to be rebuilt – by Christopher Wren. One week after Wren had originally submitted designs to rebuild the dome of St Paul’s Cathedral in August 1666, the Great Fire of London burned the St Paul’s (and two thirds of the city of London) to the ground. On news of the fire, Wren returned from Oxford to London, surveyed the damage, and eventually submitted plans to Charles II to rebuild the city.